Sign up to Dry July Australia 2018 and raise funds for Royal North Shore Hospital. Help us support our patients and their loved ones by doing Dry July in 2019! By choosing Royal North Shore Hospital (RNSH) as your beneficiary you’ll be supporting people with cancer who visit our centre for treatment from across NSW. In 2019, Royal North Shore Hospital hopes to continue its “Patient Wellbeing Program” which supports patients and their loved ones affected by cancer across the Northern Sydney region. 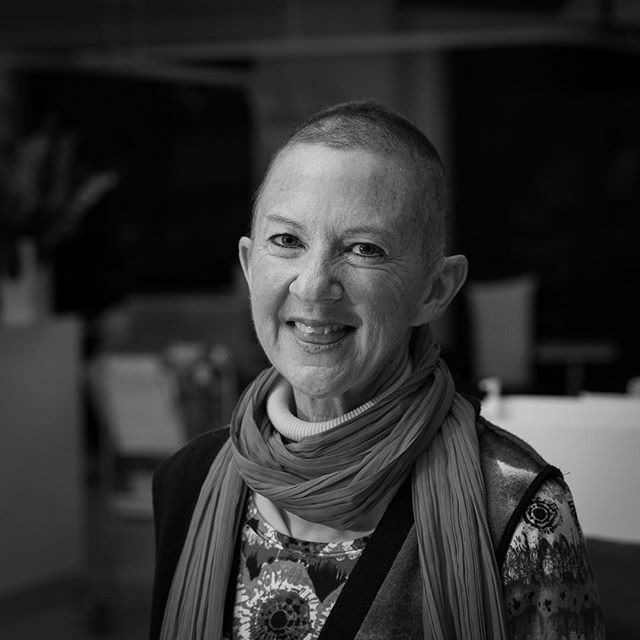 This essential program supports wellbeing before, during and after cancer treatment. • Supportive care with the treating team that they know and trust. Your generosity will help ensure our patients to have an ongoing access to quality local support. 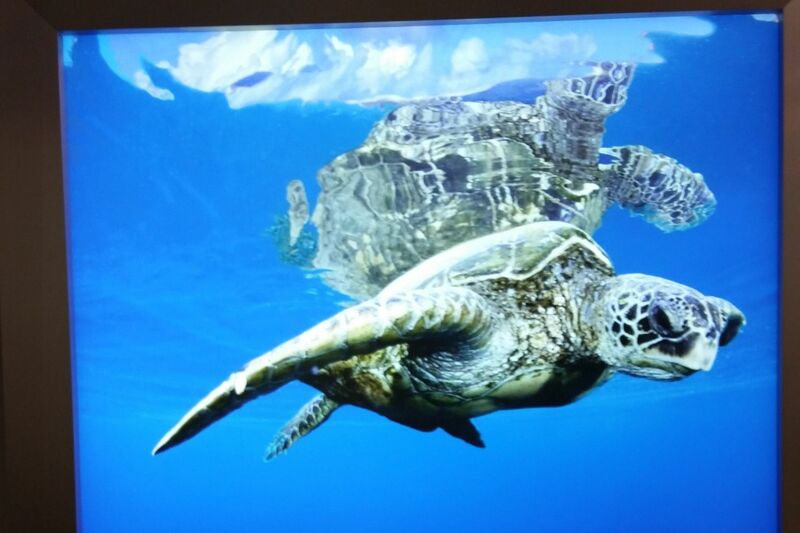 We treat people from all over NSW and rely solely on donations to provide these important programs. 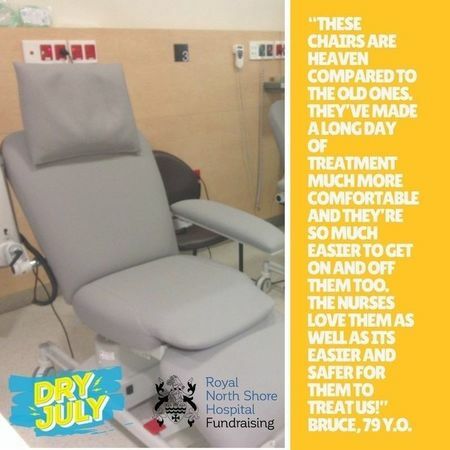 We need your help to keep them going so please sign up for Dry July in 2019 and choose Royal North Shore Hospital as your beneficiary! We're proud to announce that Royal North Shore Hospital has received a grant from the Dry July Foundation 2018 Grant Program. this program, which is held in Chatswood at the Dougherty Community Centre once a week. The program supports participants to cope better with the impact of cancer and ultimately aims to improve their wellbeing during and after cancer treatment. service that they would otherwise have to pay hundreds of dollars for. The service therefore gives patients choice and reduces some of the stress of managing hair loss from cancer treatment. •	Treatment Chairs for the Chemotherapy Suits – These have arrived in the Day Treatment Unit and have increased the comfort and safety for patients. We hope to be able to apply for more funding for chairs in the future! •	Cansupport’s Wig Library – We have been able to increase the range of wigs that we have available for patients who are experiencing hair loss due to cancer treatment. The service is very popular and relies on Dry July funding to continue. We want to give women and men choice and ultimately confidence. •	Relaxation and Meditation Program - We have been able to expand this program thanks to Dry July to offer another weekly class solely for people with Cancer and their carers. •	Blanket Warmer – We have recently received the Blanket Warmer that Dry July has funded. This is being used in the Day Treatment Unit and will help keep patients comfortable and warm during their chemotherapy treatment.